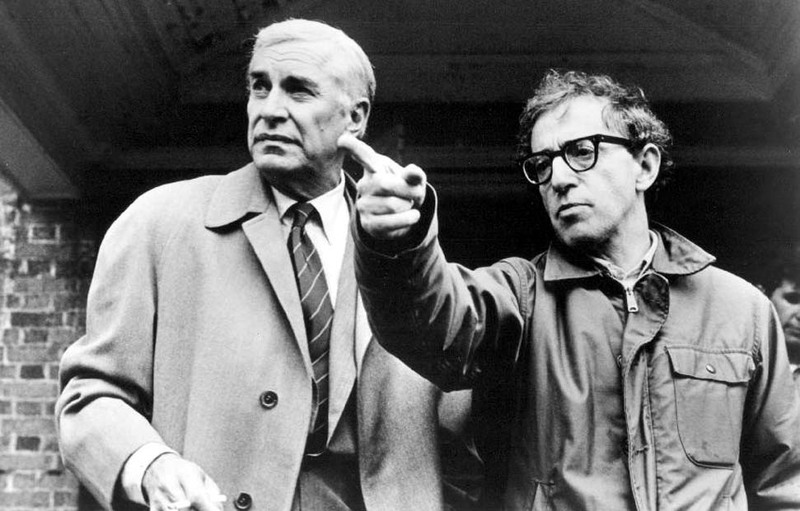 Now let’s fast forward to 1989 and the movie CRIMES AND MISDEMEANORS and the same question is addressed. IS IT POSSIBLE TO BE AN OPTIMISTIC SECULAR HUMANIST THAT DOES NOT BELIEVE IN GOD OR AN AFTERLIFE? Woody Allen’s Professor Levy represents the best of secular philosophy, but this philosophy is still is lacking in the end and Levy jumps out the window to end his life!!! Let’s look at some of his thought processes. Rodney Graham talks to Art Critic Adrian Searle and Greg Hilty, Lisson’s Curatorial Director, about works in his recent solo show at Lisson Gallery, ‘Painter, Poet, Lighthouse Keeper’. ‘Painter, Poet, Lighthouse Keeper’ presents a series of new works, created by Rodney Graham specifically for Lisson Gallery. One of the most original and influential artists of his generation, Graham draws from sources as diverse as structural film, Mallarmé’s poetry, British zombie movies, and 19th century French military painting to create a kaleidoscopic exhibition combining works in photography, film and painting. Rodney Graham (born January 16, 1949) is an artist and musician born in Abbotsford, British Columbia. He is most often associated with the Vancouver School. He is married to the artist Shannon Oksanen and lives in Vancouver. Coming out of Vancouver’s 1970s photoconceptual tradition, Rodney Graham’s work is often informed by historical literary, musical, philosophical and popular references. He is most often associated with other West-coast Canadian artists, including Vikky Alexander, Jeff Wall, Stan Douglas, Roy Arden and Ken Lum. He was taught by fellow Vancouver school artist Ian Wallace‘while at Simon Fraser University, Burnaby, British Columbia, from 1979 to 1980. Around this time, he played in the band UJ3RK5 with fellow artist Jeff Wall. His wide-ranging and often unclassifiable work has frequently engaged with technologies of the past: literary, psychological and musical texts, optical devices, and film as historical medium. Among his earliest works is Camera Obscura (1979; destroyed 1981) a site-specific work that consisted of a shed-sized optical device on his family’s farm field near Abbotsford, British Columbia. Entering the shed, the observer was confronted with an inverted image of a solitary tree. Both prior to this (with Rome Ruins ) and throughout the 1980s and 90s, Graham employed the technique of the camera obscura in his work. Beginning in the early 1980s, Graham took found texts as the basis for his bookworks—at once conceptual and material—inserting bookmarks with additional pages, inserting textual loops or incorporating books into optical devices in works such as Dr. No* (1991), Lenz (1983) and Reading Machine for Lenz (1993), respectively; many of these were carried out with the esteemed Belgian publisher Yves Gevaert and/or the gallerist Christine Burgin. His extensive body of works related to Sigmund Freud (beginning in 1983) in a sense develops out of this text-based practice, though later found books would be integrated unmodified into Donald Judd-like “specific objects,” as with The Basic Writings of Sigmund Freud (1987). In 1994, Graham began a series of films and videos in which he himself appears as the principal character: Halcion Sleep (1994), Vexation Island (1997) (shown at Canadian pavilion of the 1997 Venice Biennale), How I Became a Ramblin’ Man (1999), and The Phonokinetoscope (2002), for instance. It is in this last work that evidence of Graham’s engagement both with the origins of cinema and its eventual demise surface, a work where Graham takes up a prototype by Thomas Edison and puts forward an argument for the relation between sound and image in film. Later, in Rheinmetall/Victoria 8 (2003), two increasingly obsolete technologies, the typewriter and film projector, face off against one another—with the latter projecting a film of the former. In 2003, Graham turned to drawing and painting for the first time. Adopting a persona in a host of related photographic, installation and painted works, The Gifted Amateur, November 10th, 1962, 2007, indicates both continuing performative and art historical directions in his work. In 2009, Graham exhibited a series of film installations with Harun Farocki, called “HF/RG,” at the Jeu de Paume, Paris. “HF | RG”. Jeu de paume (in French). Retrieved 2009-04-06. Recent solo exhibitions include 2010’s ‘Painter, Poet, Lighthouse Keeper’ at Lisson Gallery, London and 2011’s ‘ Vignettes of Life’ at Hauser and Wirth, Zurich. Graham lives and works in Vancouver, and is currently represented by 303 Gallery, New York; Christine Burgin Gallery, New York; Donald Young Gallery, Chicago; Lisson Gallery, London; Hauser & Wirth, Zurich, London and New York; and Johnen Galerie, Berlin. A postage stamp depicting Graham’s photograph, Basement Camera Shop circa 1937 was issued on March 22, 2013 by Canada Post as part of their Canadian Photography series. The image is a recreation of a snapshot discovered by the artist at an antique store. Graham places himself in the photograph as the owner standing at the counter, waiting for a customer. Jump up ^ Wall, “Into the Forest: Two Sketches for Studies of Rodney Graham’s Work,” 21. Jump up ^ Graham, “Artist’s Notes,” in Rodney Graham: Works from 1976 to 1994. Toronto; Brussels; Chicago: Art Gallery of York University; Yves Gevaert; The Renaissance Society at the University of Chicago, 1994. 83. Jump up ^ “Rheinmetall/Victoria 8”. The Collection. The Museum of Modern Art. Retrieved 2009-04-06. Jump up ^ “Rodney Graham”. 303Gallery. Retrieved 2009-04-06. Jump up ^ “New photography stamp series gives an appreciation of Canada’s best”. Canada Post. Retrieved 14 October 2013. Jump up ^ “Canadian Photography”. Canada Post. Retrieved 14 October 2013. Jump up ^ Griffin, Kevin (June 8, 2012). “Art Seen: Rodney Graham: Humour, Canadian-style” (blog). The Vancouver Sun. Retrieved 14 October 2013. “The Vancouver School: A City’s Place in the Realm of Ideas” Article discussing Vancouver’s photo-conceptual art scene with Daine Augaitus of the Vancouver Art Gallery. Some of Graham’s work is also featured. Born in Abbotsford on January 16, 1949. Lives and works in Vancouver.Rodney Graham’s works humourously consider notions of doubling and historical modes of self-representation. Graham is part of a generation of Vancouver artists—including Ken Lum, Roy Arden, Stan Douglas, Ian Wallace and Jeff Wall, some of whom he played with in the punk band U-J3RK5—who established the city’s reputation for photoconceptualism. Graham’s breakthrough works, completed after studying at the University of British Columbia and Simon Fraser University, were a series of images of inverted trees made with a camera obscura. Later, in the 1990s, Graham became known for appearing in short, looped films in which he parodied and problematized modern or proto-modern notions of selfhood and masculinity. In 1997’s Vexation Island, shown at that year’s Venice Biennale in the Canada Pavilion, Graham is a Crusoe-esque shipwrecked pirate; in 2001/2002’s The Phonokinetoscope, the artist rides a bike through Berlin’s Tiergarten park on LSD. A touring retrospective, “A Little Thought,” opened at the Art Gallery of Ontario in 2004. 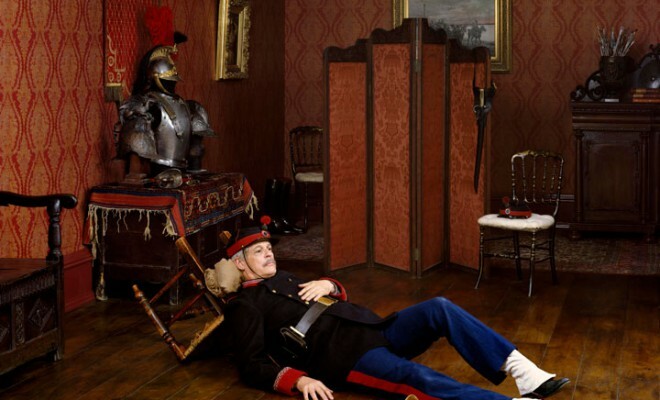 Graham’s work is in the collection of the Centre Georges Pompidou and the Metropolitan Museum of Art.Image of Rodney Graham’s Artist Model Posing for “The Old Bugler, Among the Fallen, Battle of Beaune-Roland, 1870″ in the Studio of an Unknown Military Painter, Paris, 1885 (2009) courtesy Vancouver Art Gallery. Above is a clip of 12 questions for Woody Allen. Below is a list of some of his movies. In his first fully achieved masterwork, a semi-autobiographical comedy in which his ex-lover Diane Keaton and best friend Tony Roberts play versions of themselves, Allen created a new genre, the “relationship movie”. Allen’s wryly comic film captures the magic of his home town with help from a fine cast, Gordon Willis’s monochrome widescreen images and 13 Gershwin songs. His pursuit of a much younger woman was to become a career obsession. Dazzling satire on America’s permanent identity crisis in the form of a wholly convincing, wholly fake documentary about Leonard Zelig, a prewar celebrity known as the “Human Chameleon”. Saul Bellow, Susan Sontag and Bruno Bettelheim appear as witnesses. Allen’s wittiest disquisition on love, life and death in Manhattan with a great ensemble cast that includes Michael Caine, Mia Farrow and Max von Sydow. The 1986 Cannes jury would have given it the Palme d’Or unanimously had it been in competition. Taking as his model Fellini’s similarly episodic autobiographical Amarcord, Allen as writer-director-narrator looks back with warmth, wit and insight to the great days of sound broadcasting in the 1930s and 40s. A varied succession of often hilarious anecdotes bathed in a golden glow.